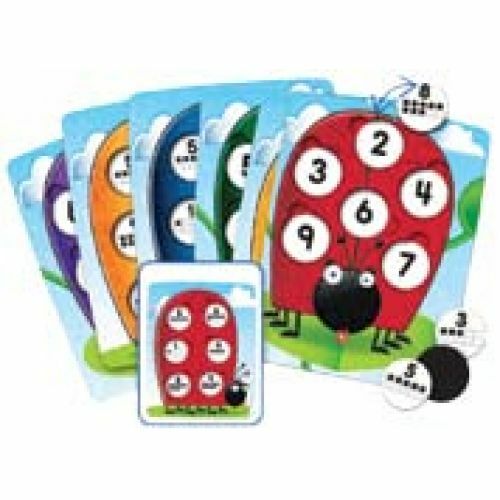 10 on the Spot!™ Ten-Frame Game Cover the numbered spots on the ladybug with the numbered pieces that together make ten! Cards feature ten-frames on one side for beginners, and numbers on the reverse for more advanced players. Fill your card and win! Includes six 61⁄4" x 8" double-sided cards and 72 “spots" (pieces).